Bandung, Indonesia — DycodeX and its latest flagship product SMARTernak will share a stage with 9 rigorously screened startups from all across the Asia-Pacific region in Google Demo Day Asia, Google Day Asia is an international startup pitching event hosted by Google for Entrepreneurs which will take place in Shanghai on September 20, 2018. 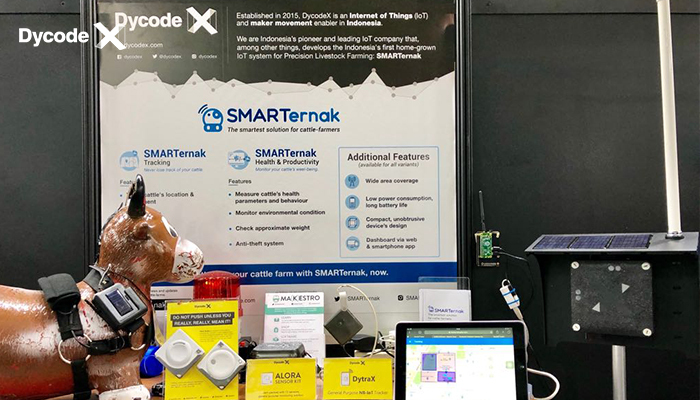 This marks a momentous milestone in DycodeX history as the hard work we put in our flagship product, SMARTernak, has resulted in an acknowledgment in an international stage. The selection process consisted of screening 305 submissions from startups all over the Asia-Pacific region. Out of the 305, only 10 are selected to stand on the Demo Day Asia stage. DycodeX is the only startup representing Indonesia and one of the 3 startups that hails from the Southeast Asia region. According to the official Google announcement, startups selected in Demo Day Asia will “receive mentorship and coaching from Google to deliver the perfect pitch to a panel of distinguished investors.” They will also experience an immersion into the Chinese startup ecosystem by connecting with successful founders and community players. The startups that take the spotlight could secure funding from investors and up to $100,000 in Google Cloud Platform credits. Officially announced on June 2018, SMARTernak is a smart cattle-farming solution that is aimed to revolutionize the cattle-farming industry. It is achieved by using an IoT-based technology to help cattle-farmers monitor the well-being and location of their herd. Read more about the technical specifications and the real-life application of SMARTernak in real farms in Indonesia on SMARTernak’s official website. In Google Demo Day Asia, DycodeX will share the stage with 9 other startups from Asia-Pacific, namely FreightExchange (Australia), GITAI (Japan), Marham (Pakistan), Miotech (China), OneStockHome (Thailand), OrigamiLabs (Hong Kong), SigTuple (India), SkyMagic (Singapore), and Swingvy (South Korea).